Derwent are renowned worldwide for manufacturing some of the finest graphite pencils artists can use. Derwent have a wonderful selection of traditional wooden barrel graphite pencils. 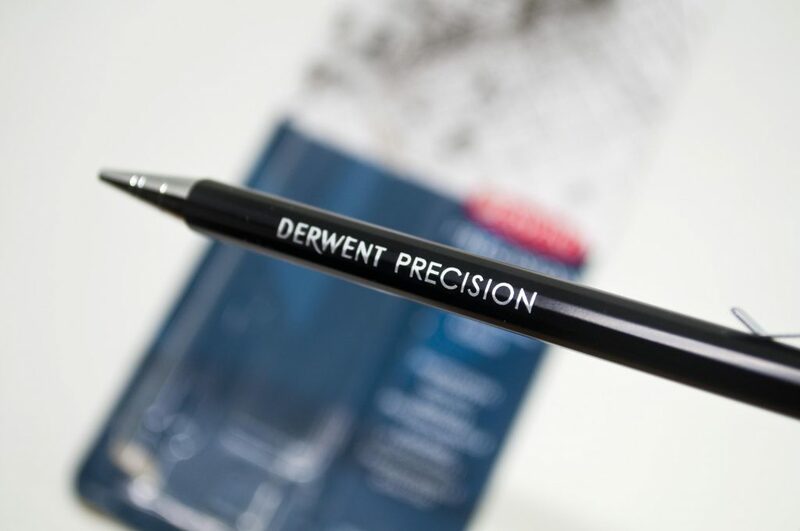 However, the introduction of the Derwent Precision marked the brand’s first mechanical pencil. 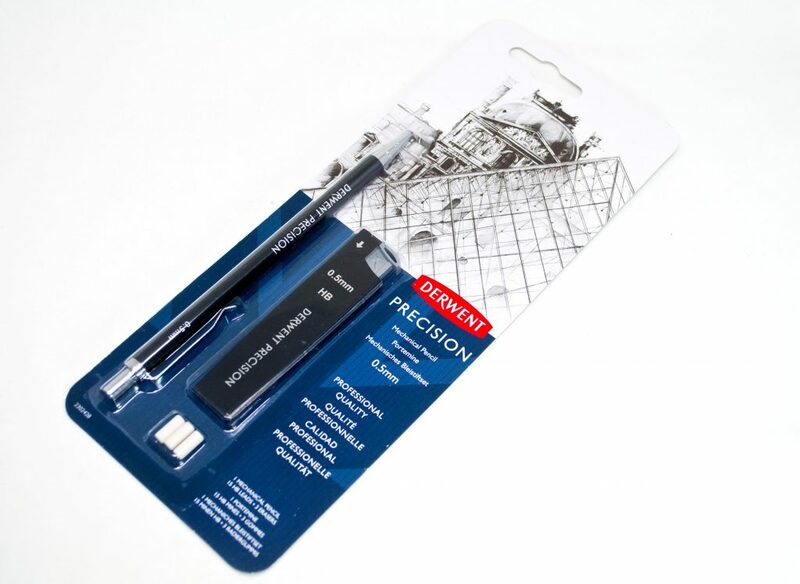 The Derwent Precision is a mechanical pencil, developed in two sizes, regarding the graphite core dimensions: a 0.5 and 0.7mm core. It goes without saying that the graphite cores and replacement cores are of a high standard Derwent graphite that we have all come to know and love. With Derwent graphite, you know you’re going to get reliability and quality in every pencil. The metallic body of the Derwent Precision sports a stylish black gloss finish, trimmed with chrome nib, lapel clip and end cap, making the entire body – an aesthetic beauty for anyone to carry, be they artist, business person or student. Once removed, the end cap reveals an eraser. Removing the eraser reveals more hidden items, with room to can store extra graphite cores within the barrel. Once the extra cores are placed in the barrel, they automatically feed through when the current core is used completely. Perhaps the most important feature of the Precision is the metal retractable sheath that extends with the click of the end cap, revealing the graphite. It’s an important feature because so many mechanical pencils in this price range have static sheaths for the graphite. These tend to either break or rip clothing if the pencil in placed in a pocket. With the Derwent Precision, everything is tucked away beautifully when not in use meaning you can return to your pencil time and time again. The actual mechanism used to extend and retract the graphite is metal whereas a lot of cheap mechanical pencils use plastic, which tends to break easily with use. But it doesn’t stop there, for this price you get the stylish Precision pencil, three spare erasers, graphite in the pencil and fifteen spare graphite cores in their own plastic dispenser. All I can say is thank you, Derwent, you have done it again, a wonderful product for artists, students, businessperson about the city or academics, the Derwent Precision fits them all. I enjoy Derwent pencils, and I also enjoy drawing and sketching with mechanical pencils; although the latter haven’t been a ‘throw in a pocket with a sketchbook’ item for precisely the reason given here – unretractable metal sheaths. 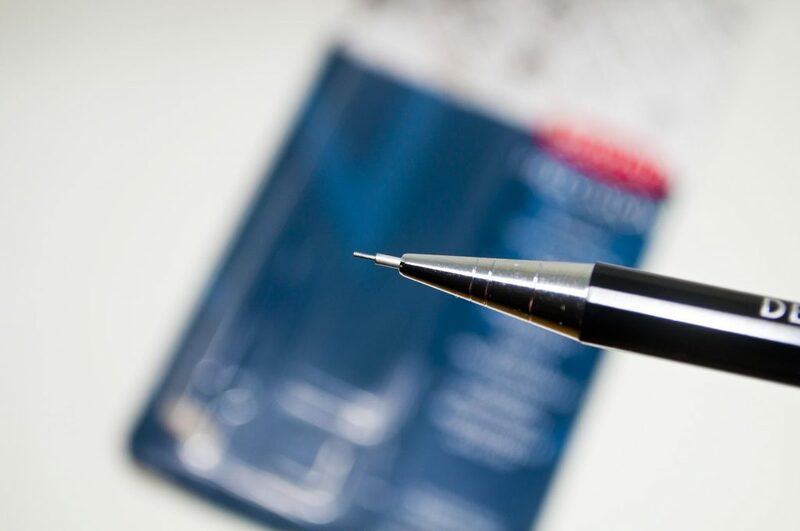 That the Derwent Precision ticks all three boxes (plus availability in a slightly wider core with softer leads) made it an easy decision to try it. Although I’d also like to ask if it’s possible to remove the lapel clip?